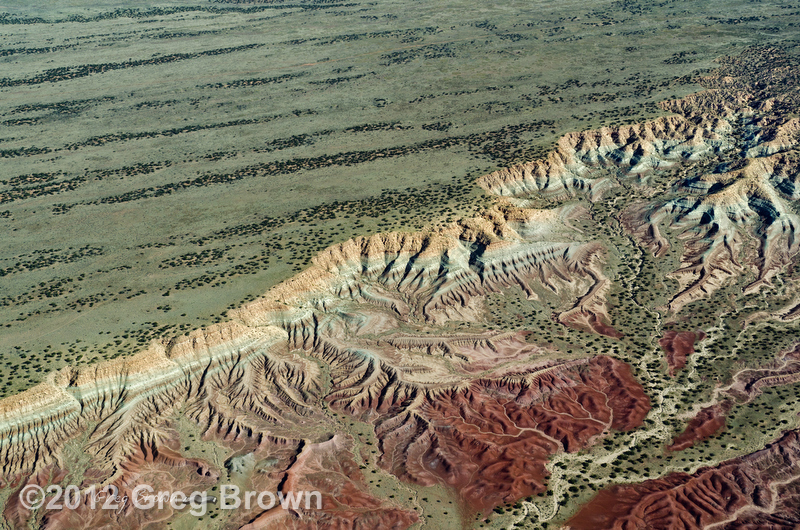 Greg photographed “Edge of the Painted Desert” on a morning mission from Flagstaff to Albuquerque. The mineral tints of Arizona’s famed Painted Desert are so far out chromatically that when outsiders see Greg’s aerial photographs of the area, they often don’t believe the colors are real. What he loves about this particular photograph is that the adjacent landscape and vegetation serve as touchpoints to conventional reality. Viewers recognize the terrain at upper left as accurate, so they can more readily accept the radical colors of the Painted Desert.